The second part of our FX marketing masterclass is dedicated to display advertising. Today we are going to take a look at the current state of display ads, analyze the retail FX sector and close with some practical tips and tricks. 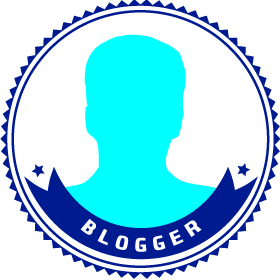 Be sure to check out the previous masterclass dedicated to content marketing if you haven’t done so already. People visit websites to consume the content, but at the same time, they are also consuming the ads. This has been so popular that actually a phenomenon called banner blindness has developed; in 2016 people don’t tend to pay attention to the display media. On top of this, some website editors simply remove the ad units from their browsers by installing adblock. You may think that adblock is not that big of an issue. Now look at these findings. More than 1 in 3 people in Poland do not actually see the ads. 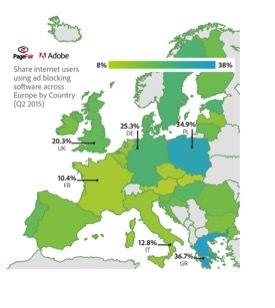 On average 1 in 5 Europeans block all browser ads. This data represents the year of 2015. In 2014 there were roughly 40% fewer adblock users, hence it is possible to forecast an even smaller amount of display ad exposure in the near future. In other words, display ads are wounded and they are dying. Here is a little piece of positive data- about 13.3% of visitors to financial websites are blocking their ads. Next to this, adblock is more popular among people aged 20-30, while FX traders are mostly the people between 35 and 45 years old. Things are not that bad. When it comes to costs, things don’t look so bright. FX is quite an expensive industry to advertise in with an average cost per click of 6 USD in the developed countries. In other words, if a landing page converts at 10% (which is pretty high), a broker ends up paying around 60 USD per lead. If a broker converts leads at 10%, then the cost of acquisition is roughly 600 USD. Let me now list four tips that you can start applying already now. Quite a few large sites in the FX industry support advertising via Google display network. This way you are actually able to buy ads on, say, investing.com without actually ever getting in touch with the site. As a result, you can estimate the traffic and its quality without a few thousand dollar commitment. When it comes to smaller sites, adsense is rather a rarity. The reason for this is simple- smaller sites typically make money from affiliation. If a site gets some 1,000 page views a day, Google would pay quite a modest amount for that. From the other side, such brokers as Plus500 can supply a CPA of 600 USD or even more. So don’t be afraid if you see no adsense. So you have your advertising budget of 120,000 USD for 2016 and you decided to evenly split it monthly. Great move. Not! Even though online marketing is data-driven, in many cases full results of display ad unit cannot be traced. The curve of display ad benefits is exponential. If you just run your ads on a few performing sites, you may be getting some clicks and hoping to at least break even. If you place ads everywhere, this would drive awareness and make traders want to visit your site just to find out who you are. This tells us that you would rather spend all of your budget within some 1 or 2 campaigns that last for a month. Brokers tend to avoid planning and jump into execution straight away. It is often possible to see their marketing teams signing with sites and launching campaigns just a few days before the starting date. It is vital to plan ahead, have your creatives split tested and websites signed ahead of time. This is a rather short one. Your website visitors are the best people to market too. In addition to this, remarketing is the cheapest way to display your ads. Hence, even if you are not into display – remarketing is a must-have. Even though the effectiveness of display ads is declining, retail FX still is a sector where they could work. When it comes to assessing media sites – always try to get some impressions via adsense before you sign any deal with the publisher. Plan your campaigns carefully and try to get as wide a coverage as possible. Prepare, test and enhance all of your campaigns upfront. And even if you have almost no budget – remarketing still has to be done. I hope you enjoyed this article. Should you be curious about content marketing, check out my previous piece. Come back here next week to read more about promoting your brokerage on social networks.